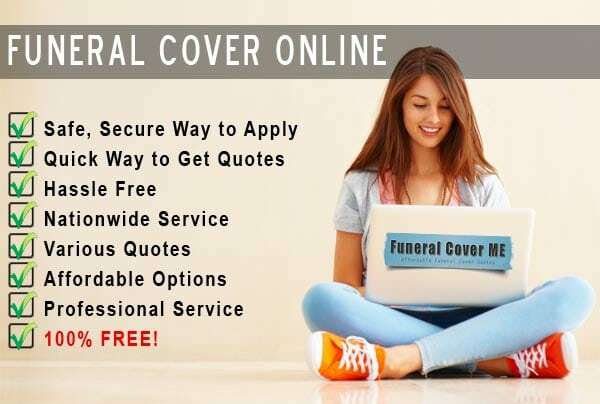 Funeral Cover Online | Funeral Cover ME - Get Covered! In most first world countries, almost everything is done online. Only in recent years have South Africans started using online shopping. There is no difference getting funeral cover online, or with your broker. The difference is we give you the opportunity to read through all the providers. You can then determine what plan works best for your needs. Getting funeral cover online is quick and hassle free. The good news when getting funeral cover online, is that you do not have to pay any extra costs. You can get your funeral insurance without even leaving your house. We provide a comprehensive service to accommodate all our clients. If you are based in the Gauteng area, we do have reps that can come and visit you at work or at a coffee shop. If you prefer to do everything over the telephone, we can accommodate that too. We try and make finding funeral cover as quickly and effectively as possible. When you apply for funeral cover online, we do not request any personal information from you. All we need is your name, email, telephone number, provider and cover type. This way we can address you properly when we contact you via telephone. We do not hand your information to any third parties. We purely use this information to contact you regarding the requested product. We do not hand your contact information to all the funeral cover providers we represent. We will phone you from a central point and arrange everything for you. Don’t be scared to apply online. Within the next couple of years, most shopping will be done online. In a couple of years, if you need milk, insurance or electronics, you will shop online. South-African infrastructure is quickly reaching a point where online shopping will become viable. To apply for funeral cover online is safe and secure. Basically, getting funeral cover online is an easy way to ensure that you get adequate funeral insurance as quickly and effectively as possible. It does not cost you anything extra; we provide a free service. What are you waiting for?